I love everything about summer. From the warm sunshine to the relaxed schedules to the many, many dips in the pool. I have always been a summer person. 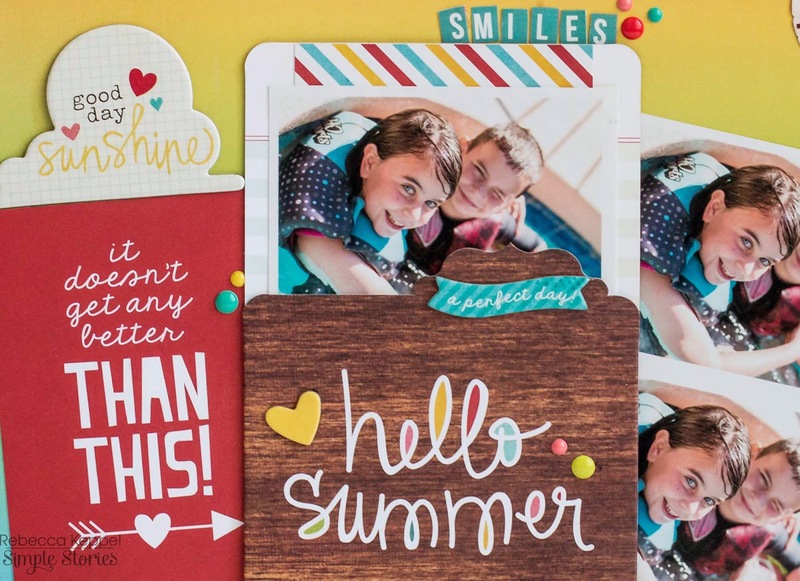 So each year since Simple Stories first summer collection I have waited anxiously to get my hands on the latest and greatest scrapbooking goodies for summer lovers. Good Day Sunshine does NOT disappoint! 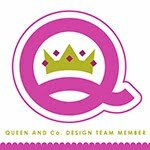 It is loaded with amazing summer colors, deep rich wood grains, fun playful images and much more. I think the rainbow ombre paper might be my favorite. Check out the Simple Stories blog to see all the details and check out the whole line. I usually hide some journaling or memorabilia in the Simple Stories Memorabilia pockets, but this time I added a strip of wallet photos. I LOVED fussy cutting out a bunch of viewfinder circles and popped up some other fun circles on top. I literally can't say enough about how much I love this collection. I guess it is fortunate that I will have about 6 months of photos to document with it (since our "summer" in Arizona is a long one to say the least)! I also made a card based on a sketch from the May issue of Scrapbook Generation's Magazine. Have you ever seen such a fun combination of ombre, rainbow, polka dots, hearts confetti, epoxy dots and more? 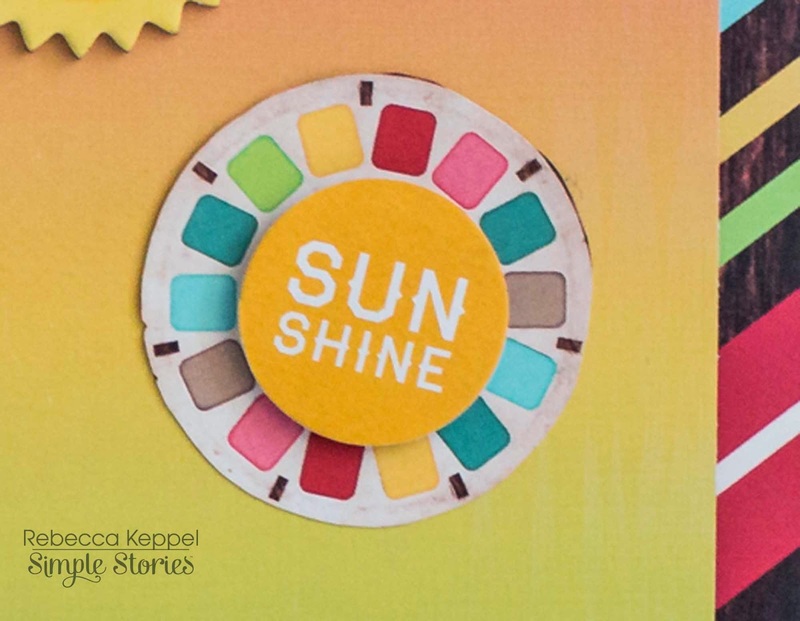 Good Day Sunshine will be hitting the stores any day now, so run and scoop it up because summer is on its way! 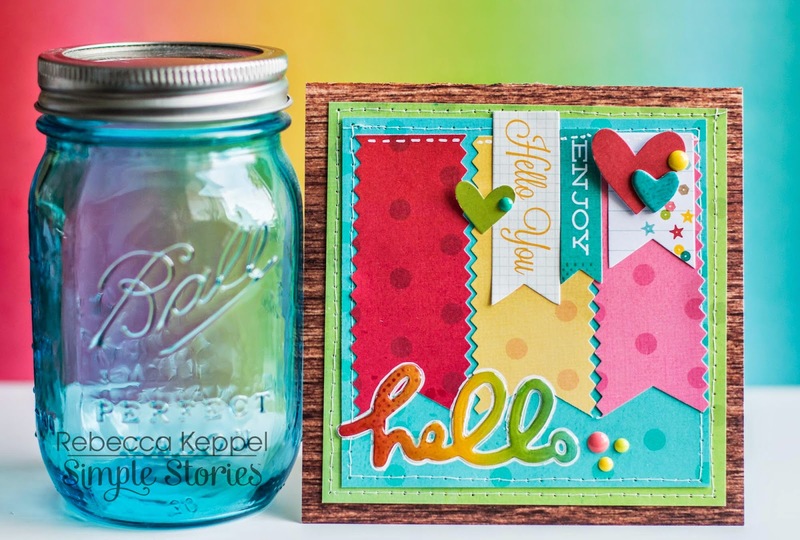 I really like how you used that ombre paper on your first layout--and GREAT card too!